The above hourly rates include a certified pump operator. After 8 hours of operator’s time including travel, there will be an additional hourly charge of $30 up to 10 hours and $60 over 10 hours to cover operator’s overtime. Contractor to supply labor for set-up, mixing and/or providing grout for priming the pump, handling of the hose during the pour and clean-up. Grout charge if supplied by Stone Concrete Pumping is $22. Hourly rates include: job set-up, actual pump time, waiting time if any, clean-up, and travel to and from our Clarendon, PA base. Terms of payment are net 30, 1-1/2% per month over 30 days. These rental rates are governed by the terms and conditions set forth on reverse side of the daily job tickets. 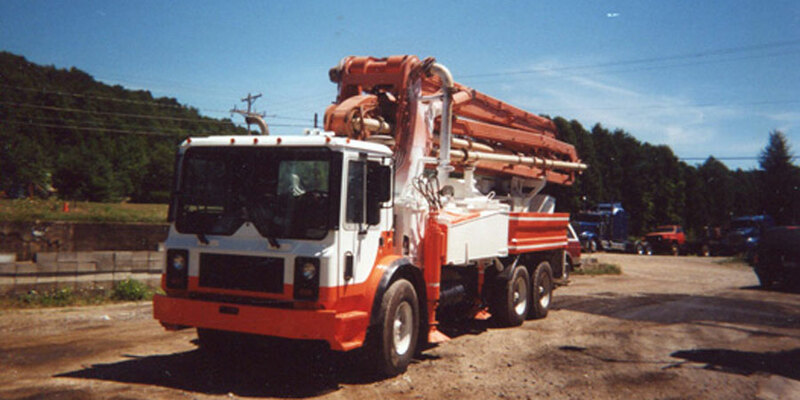 Stone Concrete Pumping approaches each job with a professional attitude and well-maintained equipment compete with an experienced, courteous operator. However, due to the extreme operating conditions to which this type of equipment is subjected, we cannot be held responsible for loss of time, labor, and/or materials due to a mechanical failure. A back-up or stand-by pump may be ordered at a 4hr rental rate, plus travel time, is the lessee feels an undue financial hardship could result in the unlikely event of a mechanical failure.